Linking entities. Networking, social media, SNS, internet communication abstract. 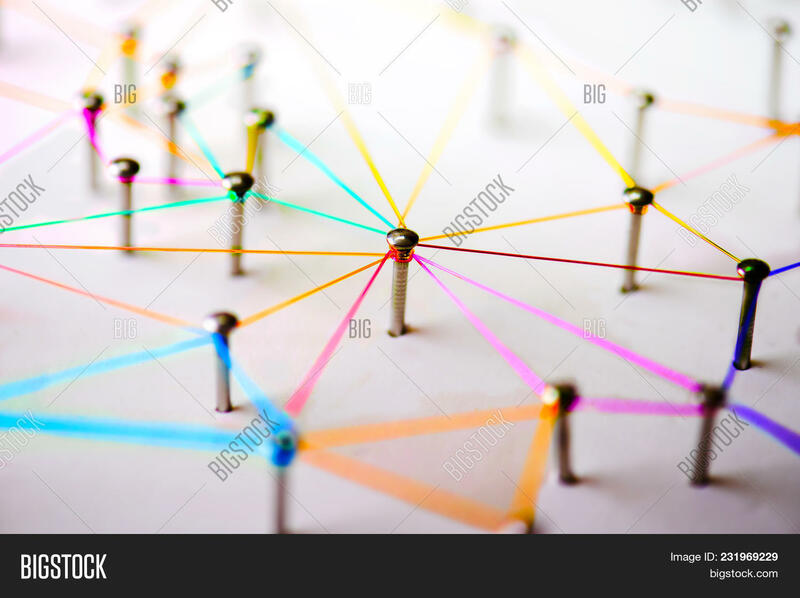 devices or people connected to a network. 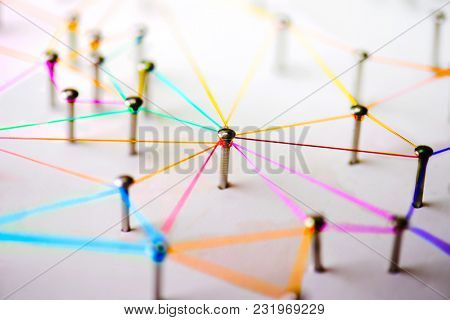 Colorful Web of green, blue, red and blue purple wires on white background.